The Daito Ryu techniques were handed down in secret to family members and retainers, and eventually reached Takeda Sokaku (1859-1943), who was to play a major role in the foundation of modern day Aikido. The Daito Ryu system that was handed down to Takeda Sokaku was undoubtably vastly different from what was taught one thousand years before hand. 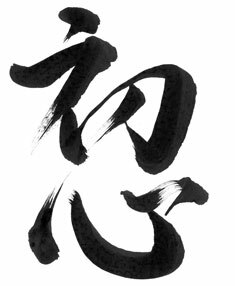 The specific arts studied by Takeda are unknown except for his training in Ono-ha Itto-ryu kenjutsu. All evidence points to the conclusion that the Daito-Ryu arts Takeda taught are as much a synthesis of his vast training experience and technical innovation as they are a faithful continuation of the Aizu clan martial tradition. 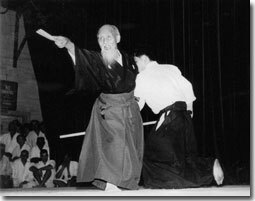 One of Takeda’s students was Ueshiba Morihei, the founder of Aikido. Born December 14, 1882 Ueshiba met Takeda in 1915, after attending a ten day seminar Takeda conducted. So impressed was he by Takeda’s techniques he began a study of Daito Ryu. 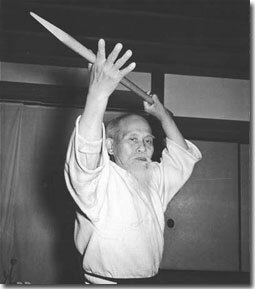 In addition to his study of Daito Ryu (which makes up the basis of the techniques of Aikido), Ueshiba studied Kito Ryu Jujitsu, Yagyu Shinkage Ryu Kenjutsu, and other empty hand and weapon arts. In 1931, Ueshiba opened up the Kobukan or Hell Dojo. This was when Ueshiba was his most physically powerful, and training was said to be very hard. One of his students at this time was Gozo Shioda, who would later on found Yoshinkan Aikido. 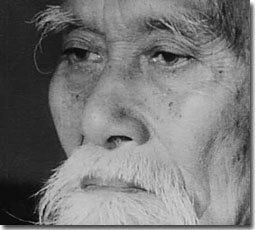 O-Sensei Ueshiba Morihei passed away on April 26th 1969 at the age of 86. 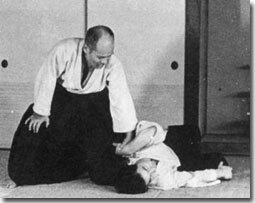 Ueshiba left a legacy of martial techniques and spiritual teachings that are now being taught the world over, and are encompassed, to varying degrees, in the various Aikido schools that exist today.